April is Child Abuse & Neglect Prevention Month and experts in the field say abuse and neglect is increasing, so it's up to community members to do what we can to help kids without a voice, Amy Calder writes. WATCHING NEWS REPORTS on TV of children becoming sick and dying from nerve gas in Syria is heartbreaking. How could human beings do this to little children who have no control over their own lives? It’s the same with reports of adults and children starving in South Sudan. The vision of a mother nursing a child while both are skeletal and starving is unbearable. We want to turn our eyes away from these atrocities because they are so painful, but it’s something we can’t ignore. Closer to home, our own children are being abused, neglected and in some cases killed, but we do not see such graphic pictures and videos of the pain and suffering associated with it. Child abuse and neglect in Kennebec and Somerset counties often occurs under the radar. It can include physical, sexual or emotional abuse, neglecting children by not providing them with adequate food, shelter, clothing or other necessities or not responding to children’s needs in an appropriate way. April is Child Abuse & Neglect Prevention Month and experts in the field say abuse and neglect is increasing. For instance, the state Department of Health and Human Services “substantiated/indicated” that 553 children were abused in Kennebec County in 2016, according to Lanelle Freeman, director of social services for Kennebec Valley Community Action Program. Of that number, 66 were age 1 or younger, she said. In 2015, DHHS substantiated/indicated that 405 children were abused in Kennebec County; in 2014, 386; and in 2013, 326. DHHS substantiated/indicated that in 2016, 276 children were abused in Somerset County and 44 of those children were 1 or younger, according to Freeman. KVCAP does a lot to help support children and families in an effort to help prevent abuse and neglect, including taking part in the statewide Maine Families Program, which is a home visiting program. A visitor meets with the parents or parent of a baby to see what they need or what they are looking for, such as connection to a parent group where they can meet other parents, according to Freeman. KVCAP can provide developmental screening for children and help a single mother or husband or partner explore ways to find help if they are sleep deprived and are not able to calm a crying baby in the middle of the night, for example. The Maine Families Program, the state’s largest prevention program, contracts with KVCAP and is funded with state and federal money. The program has an office in every county. KVCAP offices in Waterville, Augusta and Skowhegan can help connect parents and families with programs. They also can tell those wanting to help prevent child abuse and neglect how to do so. The number for the Waterville office is 859-1500, and anyone calling that number can be connected to the other two offices. Information about KVCAP programs for children and families is listed on the website www.kvcap.org. Parents are invited during April to free story hours at public libraries in Waterville, Oakland and Augusta, where snacks are provided and children make crafts. 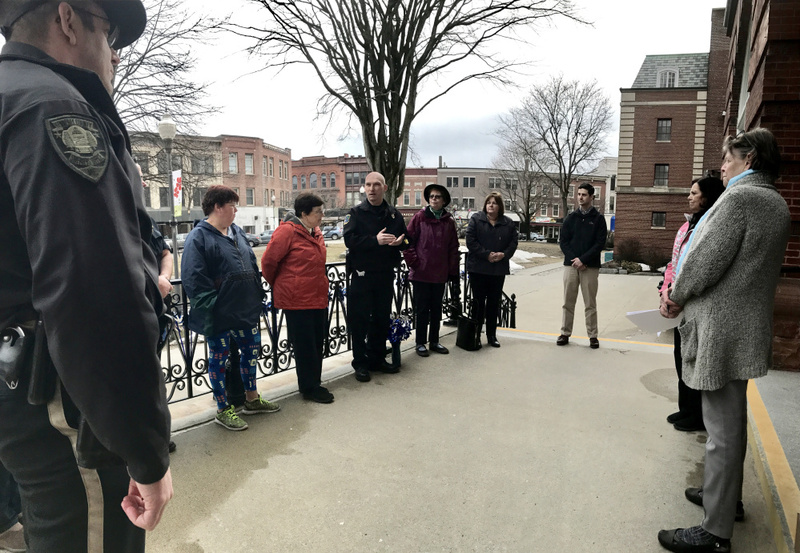 The event in Waterville is 2 p.m. to 3:30 p.m. Wednesday, April 12; in Oakland 10:30 a.m. to noon Friday, April 14; and in Augusta 10 a.m. to 11:30 a.m. Thursday, April 20. The free Skowpendous Family Fun Night for parents and children will be held in the municipal parking lot in downtown Skowhegan from 5 p.m. to 7 p.m. April 21. Freeman runs the Child Abuse & Neglect Prevention Council at KVCAP, and every community in Maine has such a council, she said. The council works to provide services to families and children, including school-based education, parenting classes and play groups. It also holds diaper drives and clothing exchanges to help parents with low incomes. Meanwhile, there are many ways we can help to prevent child abuse and neglect, according to Freeman. “For me, it’s really about raising awareness of the issue and bringing people together and talking about how we can change that in our community,” she said. Freeman says the grocery store is a great venue for those of us wondering how we can help to do so. If we see a mother with a child, take the time to stop and say something to them, recognize the child and say something nice about that child, according to Freeman. Child abuse, Freeman says, can happen in wealthy families, mainstream families and those that are struggling financially, and we must support them to help make the community welcoming and safe. 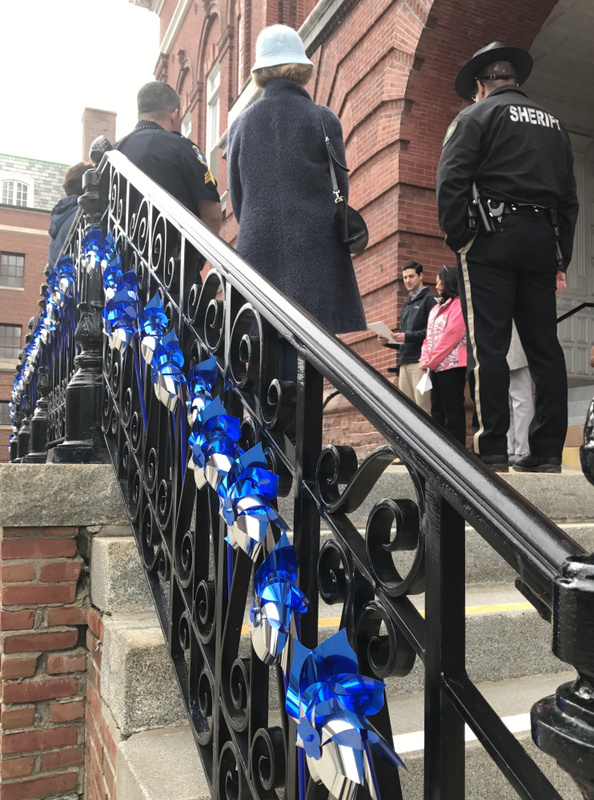 In Waterville, KVCAP’s Family Enrichment Council has placed hundreds of blue pinwheels, the national symbol for child abuse prevention, in the triangle at the south end of Main Street downtown to remind us that we can help prevent child abuse and neglect. Freeman says it is difficult for some people to talk about child abuse and neglect, but it is very important. 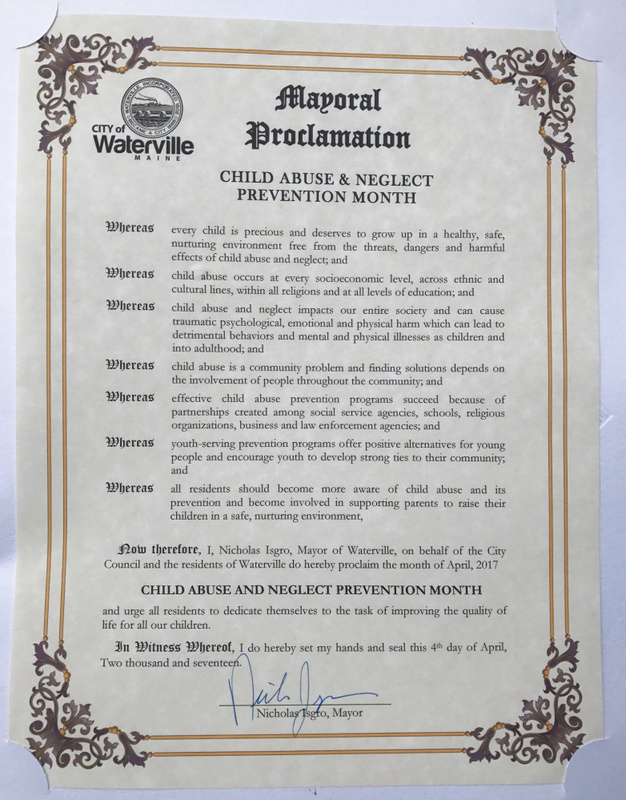 Waterville Mayor Nick Isgro read aloud a proclamation at Tuesday’s City Council meeting declaring April Child Abuse & Neglect Prevention Month. He and Freeman also spoke at a vigil outside City Hall Wednesday evening. 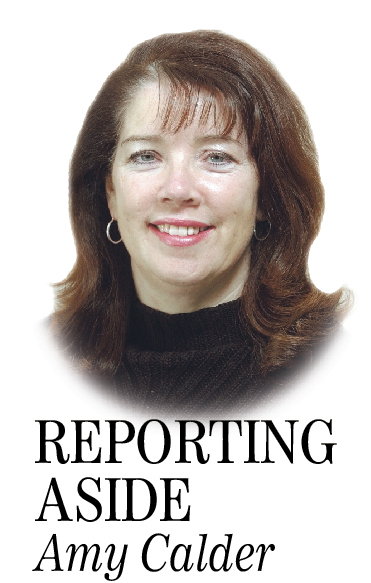 Amy Calder has been a Morning Sentinel reporter for 29 years. Her column appears here Mondays. She may be reached at [email protected]. For previous Reporting Aside columns, go to centralmaine.com.